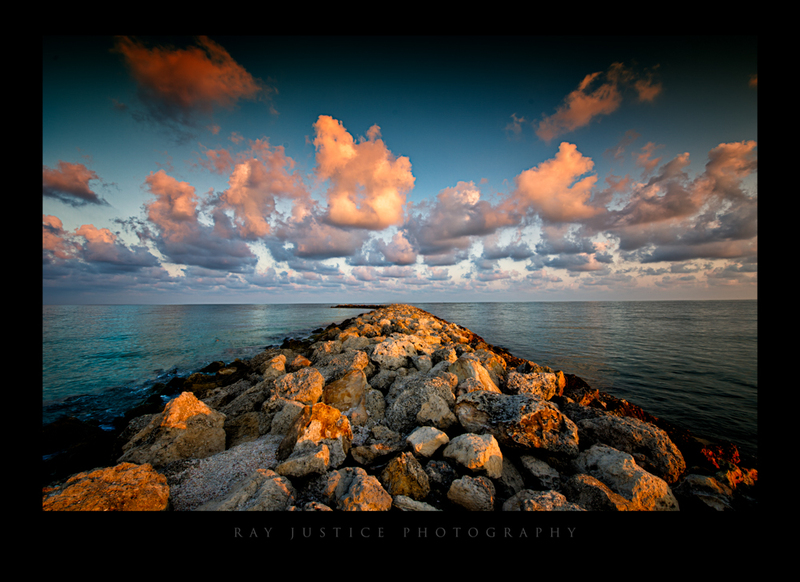 I got up before daybreak to capture this image of a rock barrier at Clearwater, FL. The sun was rising behind me casting a warm glow on the rocks and clouds. This is a five exposure image tonemapped in photomatix.